A client recently requested that I help him explain to his boss why we wouldn’t sell “an instant background check.” Other resources on our website and blog explain the problems with the database-driven background checks, but the reasoning behind our verification policy is worth reviewing. Many Imperative clients include a multi-jurisidictional database (often incorrectly called a “national database”) in their background checks. This is a database of criminal records compiled from various state and county sources by a private company. While it is useful as a source of potential records, it is not reliable as a definitive report of criminal records. We often find mistakes in the database records and the database misses more records than it finds. We use it as a safety net in support of more reliable county criminal records. When a record is found in the multi-jurisdictional database, the federal Fair Credit Reporting Act (FCRA) outlines our responsibilities in ensuring that the data is reliable. At the same time the information is provided to the employer, provide the information to the consumer (the person on whom the background investigation is being conducted), along with the name and address of the employer to whom it is being provided. This is commonly referred to as contemporaneous notification. Contemporaneous notification is the method many cheap background screening firms employ to comply with the FCRA, if they attempt to comply at all. This does nothing to ensure that the information provided by the database is correct and puts the onus on the consumer to dispute the accuracy of the information, which is not the expectation outlined in section 607(b) of the FCRA. Additionally, it puts the employer at risk of making an employment decision based upon incomplete or inaccurate information. Because we believe it is the most legally compliant and the most ethical method, Imperative Information Group always verifies any criminal records found in the multi-jurisdictional database before we report the information to our client. On occasion, the multi-jurisdictional database will provide criminal records from more than one county, requiring that before we report the records, we must initiate research in multiple counties. In the past, we have sought ways to save our clients the expense of this additional research. However, we have been unable to find a safe way of accomplishing this. For instance, we might only verify the records in the county most recently associated with the applicant, ignoring the other records. The down side of that practice is that the most recent record may be a simple “theft by check” (a hot check) while previous unverified records may be for more serious offenses. Likewise, if we just pick the highest level offense for verification, for instance a ten-year-old felony DWI case, we might end up ignoring a case more relevant to the position for which the person is being considered, such as a recent misdemeanor assault case. In either of these cases, if the employee was hired because the verified record did not eliminate him from employment consideration but subsequently injured another party in the course of their employment, Imperative would be very likely to be named as a defendant in any subsequent lawsuit because we failed to report some part of the individual’s criminal history. Some employers might take the position that they simply wouldn’t hire any applicant with a criminal record. Title VII of the Civil Rights Act of 1964 and multiple court decisions prevent employers from having a policy of eliminating applicants from consideration simply because they have a criminal record. The EEOC and the federal courts have repeatedly stated that employers must consider the time that passed since the conviction and/or completion of the sentence, the nature and gravity of the offense, and the relation of the offense to the position for which the individual is being considered. 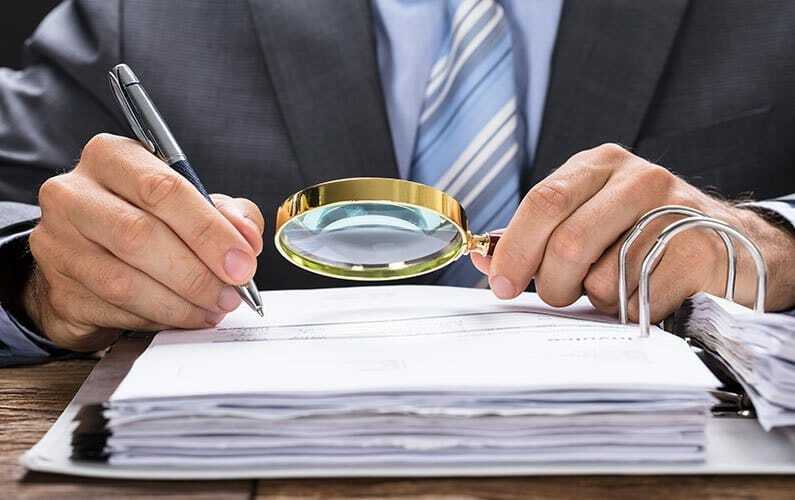 For these reasons and because we know our clients can’t afford cheap background checks, Imperative’s policy is to verify all potential records revealed in the multi-jurisdictional database. Imperative Information Group is a Fort Worth, Texas-based background investigations and business due diligence firm dedicated to clients who can’t afford a cheap background check. For more information about Imperative Information Group’s services, please call us at 877-HR-FACTS (877-473-2287) or visit us online at https://www.imperativeinfo.com.